Kimbal Musk and Stephen Baldwin and Rickon Stark would all tell you that having a famous brother has its pros and cons. They are gifted some level of fame and opportunity, but they also have to live in a pretty big shadow. Kimbal may do some great things and he probably won’t have any trouble getting his message out to the world, but if he doesn’t set up a colony on Mars or get us to The Hamptons in under three hours on a Friday afternoon, then he’ll always be referred to as Elon’s brother. Similarly, Giuseppina’s is run by the brother of the guy behind Lucali, and while they make good pizza, it doesn’t measure up to the stuff coming out of the oven at that much-more-famous spot. 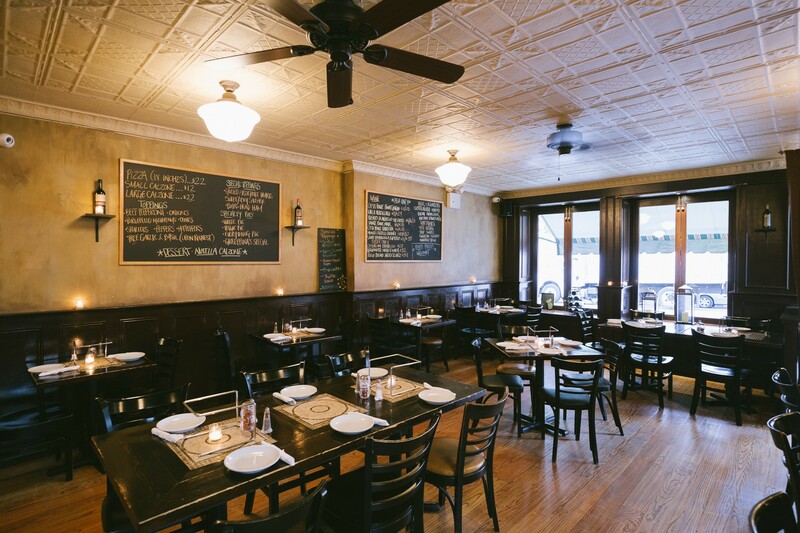 Giuseppina’s looks a lot like Lucali, from the dark dining room with candlelit tables to the wood-burning oven in the open kitchen, and the pizza is pretty similar as well. There are a few topping options, but all of them are pretty subtle, and the focus is on the thin crust. We like the plain pizza best, which has some very good housemade tomato sauce, mozzarella, and a bunch of fresh basil. That said, the calzone is chewy and pretty bland, especially compared to the truly special version at Lucali. It’s also expensive, and a cash-only spot charging $36 for a veggie pie better be making some fantastic pizza. While the food here is definitely good, we find ourselves wondering if this place would be noteworthy if there was no Lucali. Like Rickon without Robb, the answer is probably no. Giuseppina’s focuses far more on the crust than the toppings, so we’d recommend going with the plain pie to get the full experience. The mozzarella and housemade tomato sauce are very good, and if you’re a fan of basil, you’ll appreciate that they seem to put an entire plant on each pie. While the calzone may be the best thing at Lucali, the ones here have too much bread and taste chewy and bland. There also isn’t enough ricotta, and if you order fillings like pepperoni or prosciutto, you’ll barely be able to taste them. This doesn’t have any sauce, so it’s basically just an oversized piece of cheesy bread. The crust is good, but at $24, this is one of the most overpriced pies we can remember eating. This is basically the same as the plain pie, but you pay an extra $12 for a few olives, mushrooms, and peppers. Pizza dough filled ricotta and topped with Nutella. Yes, this is good. If you’re OK following multiple courses of dough and cheese with some more cheese and dough, then this is worth trying.